I know I always say that but it’s true every time: I love these people! I am so lucky to have couples I can love unreservedly! This couple are best friends, they are fun, they have gorgeous kids and friends, their ceremony was funny, with raw honesty- I’ll tell you later, and very moving, with the participation of so many people who are close to their hearts: their mums, kids, best friends, all blessing their union, I loved it and it was a very beautiful setting too. So enough raving, more details! Cleo and Aaron had planned a wedding in a gorgeous venue but things happened and they had to reduce their budget, never mind that, Cleo did loads herself, including the fab tutus the flower girls wore, and made the village hall look grand and luxurious, but mostly warm and happy, which is really what a wedding is about. She also enlisted help from friends and family – and who doesn’t want to lend a hand to the people we love?- and paid for the photography monthly, spreading it over a long time so it became affordable. I want my couples to have what they want so will do all I can to help out. Oh is this a wedding? What’s a handfasting? Well they went to the registry to be married legally but wanted a ceremony that looked and felt like them so they asked Jo Clarke from My perfect Ceremony to help them create it and to lead it and she was indeed perfect. Can you promise to never get on each other’s nerves? Will you ever do it on purpose? It was about promising to do their best and keep the other person’s heart in their heart, their interest and well being as as important as their own. very honest, and true, and moving. 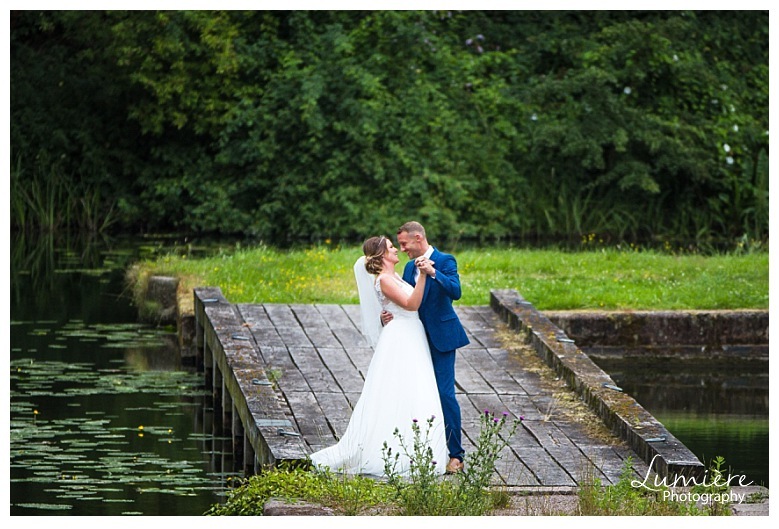 For the couple photos we went to Foxton Locks and had fun playing around different settings. I can’t show them all on the album but there are a few they liked best. Here are two others I like as well!